Fred. Olsen Cruise Lines has unveiled a selection of its new 2015 itineraries on board Balmoral, which are on sale now. The new 2015 cruises include top-rated ports, exciting new destinations and an even greater number of fascinating shore excursions than ever before. So, whether you want to cruise the Norwegian fjords, the Baltic, the Canaries, the ‘highlands and islands’ of the UK or just fancy a quick getaway, there is an adventure waiting just for you! Guests who book the new 2015 Balmoral itineraries can also upgrade to Fred. Olsen’s ‘all-inclusive’ drinks package from just £10 per person, per night, and relax in the knowledge that almost everything is already paid for. “With every cruise season, we are looking to create new itineraries and attractions that will excite our guests, and we are working closer than ever with the destinations to give our guests the best experience when ashore. - Balmoral’s eight-night ‘Norwegian Fjords’ cruises, L1502 / L1509 / L1511 / L1514, ex Southampton on 3rd May 2015 / 3rd July 2015 / 25th July 2015 / 21st August 2015 The first call on this series of Norwegian cruises is Stavanger, with its picturesque 18th and 19th Century wooden houses, before Balmoral sails onto Bergen and Flåm (Aurlandsfjord), where guests can take in its famous railway, one of the world's steepest. Balmoral then takes guests on some outstanding scenic fjord cruising, passing Nærøyfjord, a UNESCO World Heritage Site – with a stop in Olden – Nordfjord, one of Norway’s longest fjords, Maurangerfjord, Furebergfossen and Hardangerfjord. Prices start from £629 per person for cruise L1502, and from £719 for cruises L1509, L1511 and L1514. 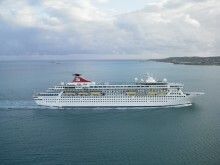 - Balmoral’s seven-night ‘Half Term City Breaks’ cruise, L1504, ex Southampton on 24th May 2015 This cruise is ideal for families planning breaks around the school holidays, visiting some of Europe’s finest cities, where guests will be able to enjoy the stunning architecture and cosmopolitan atmosphere. Balmoral takes in Hamburg (Germany), with a delightful cruise along the River Elbe and the North Sea Canal, Amsterdam (Netherlands), for an overnight stay, and Antwerp (Belgium), for a second overnight stay, with a scenic cruise along the Western Scheldt River. Prices start from £539 per person. - Balmoral’s nine-night ‘UK Islands & Ireland’ cruise, L1505, ex Southampton on 31st May 2015 This cruise offers guests the chance to explore fascinating destinations that are a little closer to home. Balmoral will sail to Guernsey (Channel Islands), Tobermory (Isle of Mull), and Kirkwall (Orkney Islands) – a previous winner of influential consumer website Cruise Critic’s ‘UK's Best Cruise Ship Port of Call’ award. En route to Douglas (Isle of Man), guests will experience some beautiful scenic cruising past Loch Scavaig, Sound of Sleat and Sound of Mull, Duart Castle and Firth of Lorn, before arriving in the final port of call, Dublin. Prices start from £899 per person. - Balmoral’s 11-night ‘Scandinavian Experience’ cruise, L1506, ex Southampton on 9th June 2015 This cruise takes guests to some of the world’s major cities, as well as traditional towns, offering a varied and contrasting holiday. Balmoral will visit Oslo, Norway’s capital city, with an overnight stay, before departing for Gothenburg (Sweden), Helsingborg (Sweden), Copenhagen (Denmark), for a second overnight stay, Skagen (Denmark) and Kristiansand (Norway). Prices start from £899 per person. - Balmoral’s six-night ‘France and Spain’ cruise, L1512, ex Southampton on 2nd August 2015 This sunshine cruise will take guests to Getxo (for Bilbao, Spain), Hendaye (France) and La Pallice (for La Rochelle, France), where they can explore quaint towns, relax on beautiful beaches or sample local wines at one of the traditional vineyards. Prices start from £539 per person. - Balmoral’s 13-night ‘Canaries Perseid Meteor Shower’ cruise, L1513, ex Southampton on 8th August 2015 This exciting 'experiential' cruise will give guests the opportunity to view the stunning, multi-coloured ‘Perseid Meteor Shower’ at the optimum time, whilst visiting the beautiful Canary Islands, Portugal and Madeira. Balmoral will call at Lisbon (Portugal), Santa Cruz (Tenerife) for an overnight stay, Las Palmas (Gran Canaria) San Sebastian (La Gomera) and Funchal (Madeira). Prices start from £899 per person. Prices for these cruises are based on two adults sharing an inside, twin cabin, and include accommodation, all meals and entertainment on board, and port taxes. As an added bonus, Fred. Olsen guests can book more than one cruise at the same time and benefit from savings of up to 30%*! Members of Fred. Olsen’s Oceans loyalty scheme will also qualify for an extra 5% off the cost of cruises when booked in advance**. Fred. 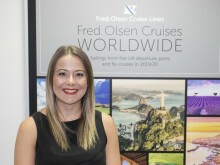 Olsen was delighted to be voted ‘Best Affordable Cruise Line’ and runner-up ‘Best Cruise Line’ in the ‘Cruise International Awards 2013’, and ‘Best Value for Money’ in the Cruise Critic ‘Editors’ Picks UK Awards 2013’.